Celebrate victory in style. 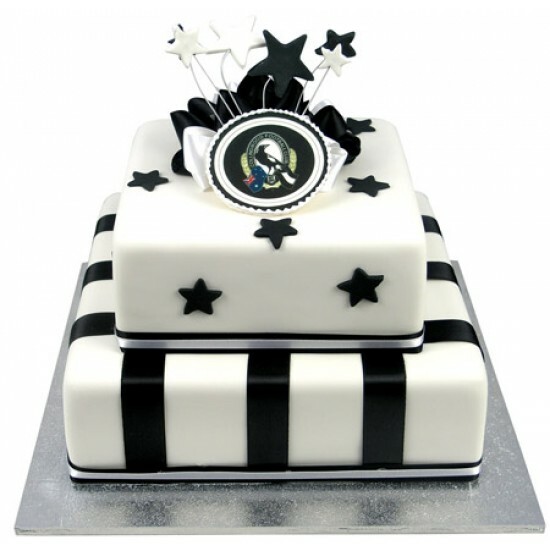 Iced in team colours, this cake features your AFL Club emblem on the top tier, matching colours and ribbon. Don't you just love it when your team wins? Celebrate victory in style. 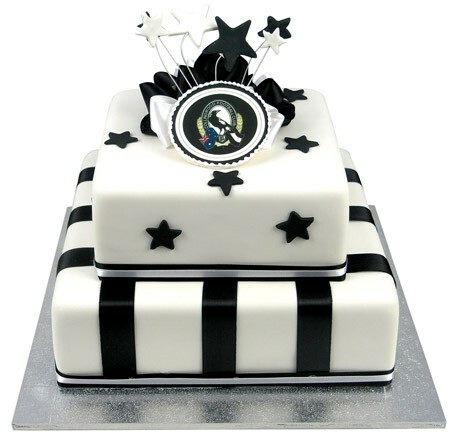 Iced in team colours, this cake features your AFL Club emblem on the top tier along with matching colours and ribbon.